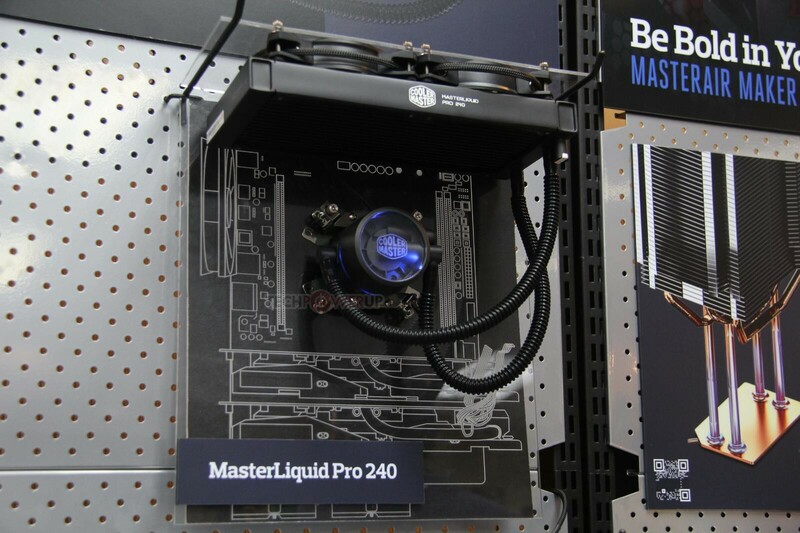 Cooler Master showcased a new line of all-in-one liquid coolers which will go with the new Masterseries products, under the MasterLiquid Pro series. 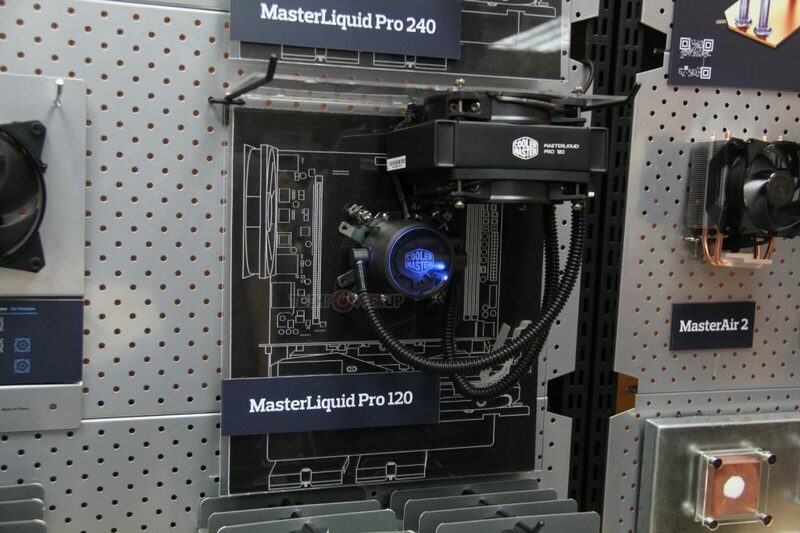 The cooler comes in two variants, the MasterLiquid Pro 120 (120 mm x 120 mm radiator) and the MasterLiquid Pro 240 (240 mm x 120 mm radiator). 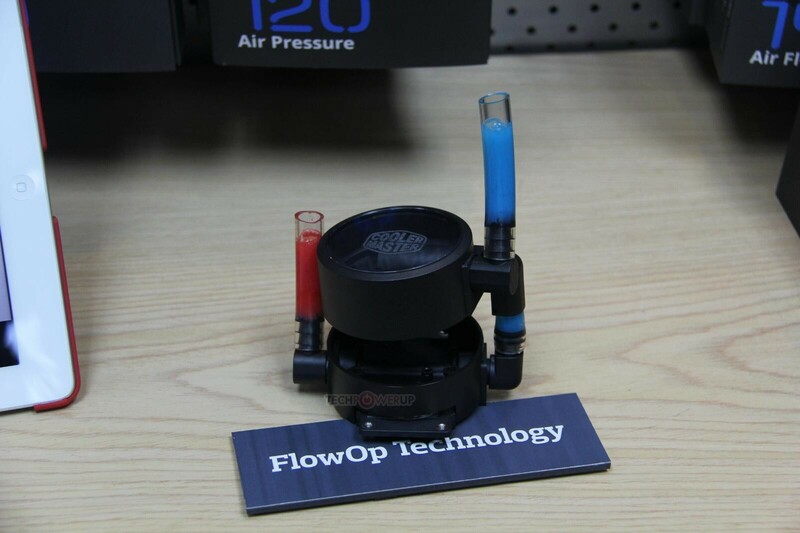 The MasterLiquid Pro has brand new pump-block design, with new FlowOp Technology for maximized coolant pressure onto the block. These coolers will come with MasterAir Pressure series fans.